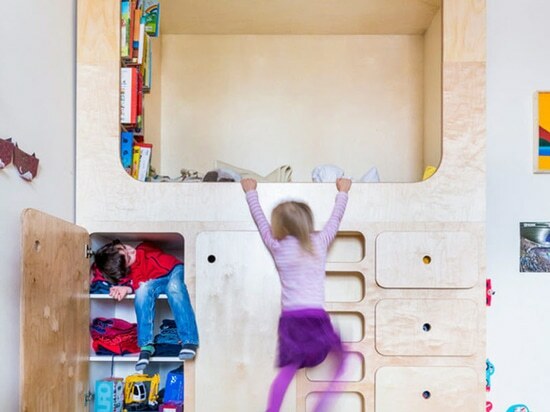 It’s every kids dream to have a secret hideout that’s just for them, so when Atelier ST thought about creating a piece of furniture for a kids room, that’s exactly what they created. 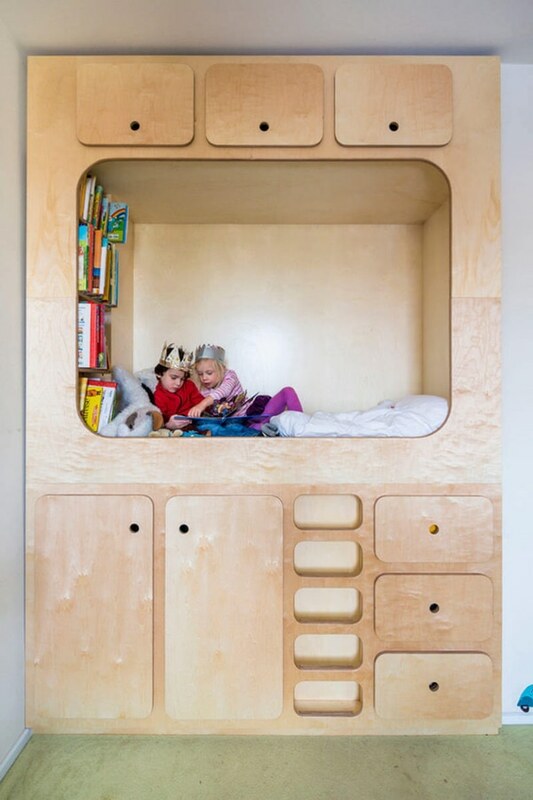 The floor-to-ceiling design features storage cubbies that are easy to open, a small ladder that leads up to a bed, and bookshelves built into the side of it to create the ultimate reading nook as well as the perfect spot for an afternoon nap. 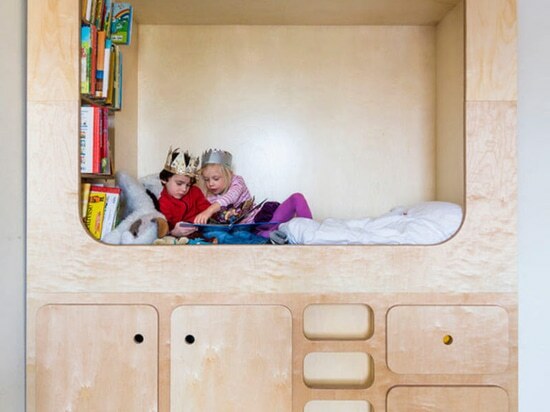 Made from birchwood, it has a bed large enough to fit a couple of kids, and the cubby is tall enough that the kids will be able to enjoy it for years without having to worry about hitting their heads. 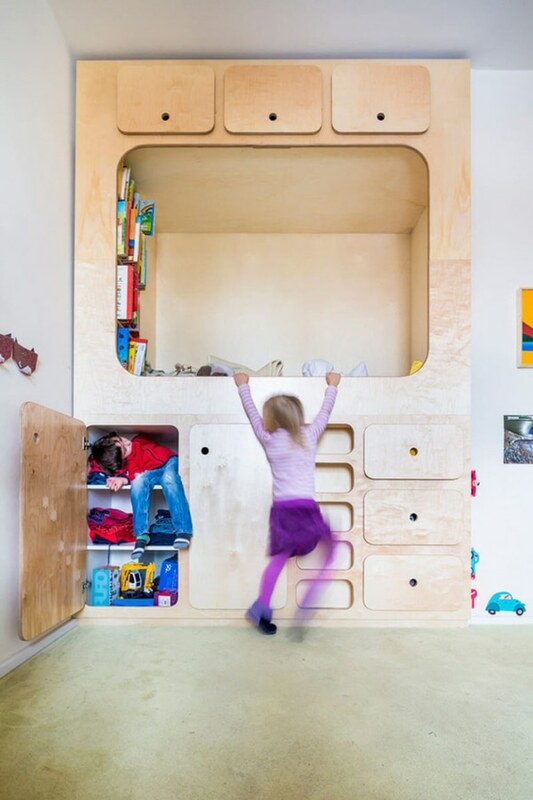 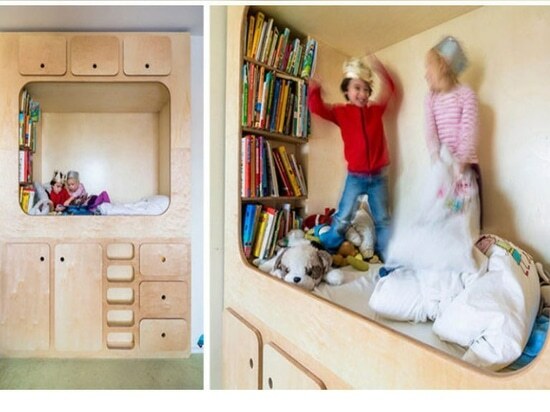 The storage cabinets at the bottom of the furniture piece are just the right size for kids to get into easily, making it easy for them to put their toys away at the end of the day.